The 21 Jump Street reboot opened the door for old school t.v. 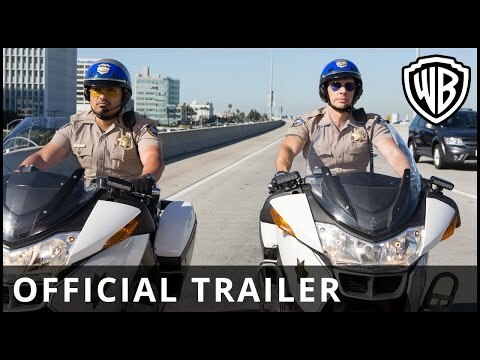 shows to get the big screen comedy treatment, and the latest project out the gate is CHiPs, which originally ran from 1977 to 1983, with Dax Shepard (also writer and director) and Michael Peña stepping into the boots of Jon Baker and Frank ‘Ponch’ Poncherello of the California Highway Patrol. The first trailer is here, giving us a taste of what this reboot has in store for us. The movie’s target audience probably have no idea the original show even existed, but this first trailer does manage to squeeze in some nostalgia in between all the usual R-rated shenanigans, though the humour seems a bit too focused on Baker’s crotch. It does promise to be silly fun, and, as per usual, Peña could very well be the best thing about it.